How we work is changing. Technology is ushering in new possibilities. New generations enter the workforce with different expectations. With all the changes in play, there are some things that stay the same: the desire for fulfillment and purpose, the need to balance the professional with the personal. 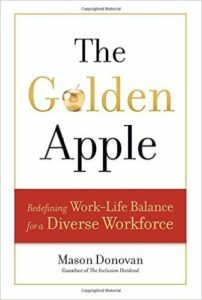 Mason Donovan tackles these challenges in his new book, The Golden Apple: Redefining Work-Life Balance for a Diverse Workforce. Mason is managing partner at The Dagoba Group, a New England-based diversity and inclusion consultancy. 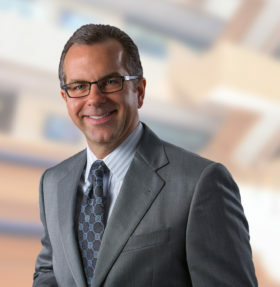 I had the opportunity to ask him about the changing nature of work, including generational changes, balance, mindfulness, and inclusion efforts. Success Tip: Balance improves your relationships, satisfaction and productivity. Is work-life balance possible? Why is it so important? Work-life balance is possible. There are a lot of gurus out there that say it is not in order to capture your attention in this crowded field. Emphasis is on the word balance. If you ever walked on a high beam or anything else in which you needed to physically balance yourself, you most likely fell off a few times. Your balance will fall off to one side or the other. It is important that you anticipate for these moments of imbalance, so you have a plan to get up. Achieving balance will make you more productive in and out of the workplace. It will enrich your relationships and allow you to achieve greater satisfaction in life. How is finding your purpose related to achieving balance? In the book, I tell the story of executives on an interpersonal retreat climbing a mountain. Their primary purpose was to reach the summit without talking about business. The objective was for them to get to know each other better personally and share an accomplishment. Without spoiling the story, their original goal is interrupted because they lost their purpose. In order to know where you are going in life, it is important to understand why you are going there. Work-life balance is no exception. Only a handful of people actually stop and reflect on why they get up every day to spend the majority of their waking life in an organization. When that somewhat simple-but-necessary reflection does not take place, you will default to acquiring things and making money, which almost inevitably leads to the golden handcuffs phenomenon. You work more because you have to make more money. You make more money so you can acquire things that require you to work more. There has been a societal shift in why individuals engage in work. Part of that shift is due to generational changes, while for others it was their awakening due to the Great Recession. Aligning your personal purpose in life with your work and organizational purpose will help you eliminate all of the noise that does not fit that purpose. Balance comes from awareness. 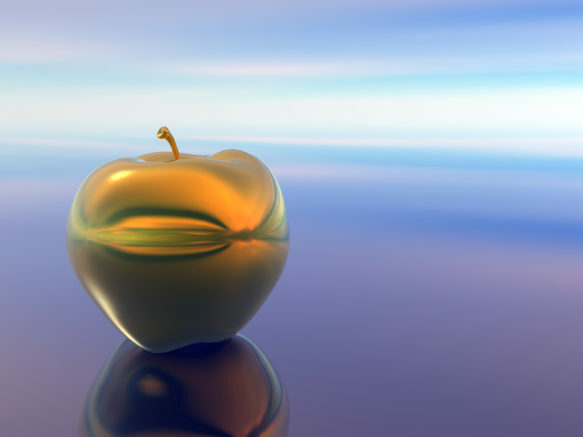 In The Golden Apple, I provide simple exercises to not only develop, but also align your purpose at each level. What are you finding in terms of generational changes? What are the new generations demanding at work? What’s the best way for current leaders to respond? It is important to note that we are all unique individuals but are influenced by our shared group memberships such as our generation. Clumping everyone together and solely defining them by generational attitudes can overgeneralize any particular person. It is helpful to understand the influence of generational membership, which will give you a starting point when discovering their individuality. Each generational cohort has a defining moment in the shaping of their shared psyche. When it comes to employment, for Generation X it was the broken promise of the organizational loyalty which fostered the cradle to grave jobs their parents subscribed to. Millennials were highly influenced by the Great Recession which ushered in massive layoffs, foreclosures and lowered career expectations. These defining moments create a collective influence on how cohorts view the work-life equation. PwC’s NextGen study uncovered a generational shift when it came to work and personal engagement for their Millennial population. Uncovering this shift was important to them since by the year 2020, they expect that fully 80% of their employees will be Millennials. In short they found this group was far less likely to give up their personal life today for the prospect of a partnership down the road. The value structure was shifting more towards experiences than acquiring things. Interesting to note is how this new value structure is also being reflected in Baby Boomers. The Great Recession robbed them of the ability to retire early as they saw their investments fail. It required them to reassess what they valued in life: time or things. Most have decided to choose to have life experiences in the time they have remaining. Downsizing acquisitions and upsizing experiences has become the trend for this generation. Leaders need to better understand the value they offer to their current and future employees. By integrating work-life balance into their overall package, they will increase engagement and retention. They should look at this challenge through a holistic lens so they do not perceive it simply as a specific generational or gender issue. Policies and practices should be geared towards an inclusive solution that impacts the overall workforce. Study: long working hours made 58% more irritable and over 25% depressed.